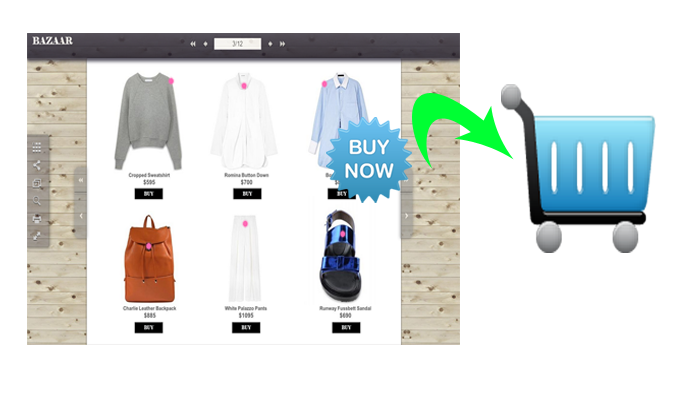 PUB HTML5 Online Catalog Software Expand your e-Commerce and impress visitors to buy your products by making commerce-ready online digital shopping catalog. Never before has using an PUB HTML5 online catalogue creator been this easy. 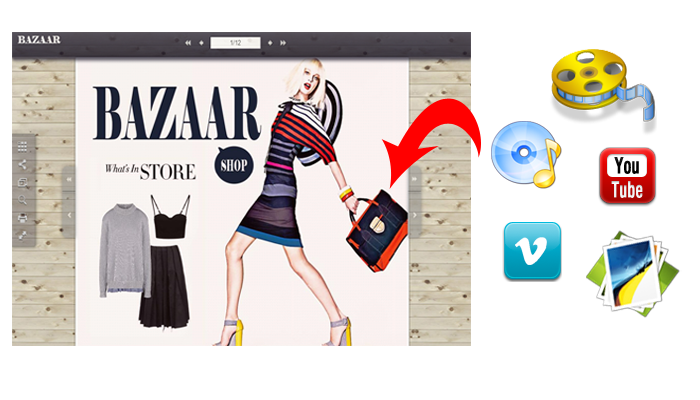 In less than 3 minutes you can use PUB HTML5's fantastic software to design your online catalogue, even as a beginner. One of the best things about PUB HTML5 online catalogue software is the ability to supplement your creation with great digital media, including videos, HD images, flash animations and sounds. With the development of science and technology, we have stepped into a new era – the Digital Age. Owing to the obvious advantages, digital products and their derivatives are playing a more and more important role nowadays and many of them are taking the places of the traditional ones. And in this digital tide, out of your expectation and even imagination, a digital publication will be able to provide you with benefits thus profits. 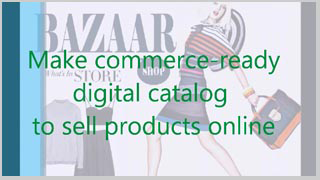 Compared with a traditional print publication, a digital catalog can greatly help expand your e-Commerce. On one hand, the digital catalog can reduce your cost because you don't need to pay for the printing. And unlike a paper catalog, the digital version is absolutely eco-friendly. On the other hand, with the arrival of the Internet age, a digital catalog can help you reach more readers and prospects who could be your actual customers. What's more, the digital catalog can be more attractive with various elements that a physical one will never offer, for example, a visual video. And that will make your catalog more alluring, thus stirring up buying impulse. With the increasing requirements of publishers and the distinctive superiorities of digital catalogs, Pub HTML5 emerges as the times require. This online catalog software can help you convert common used PDF files into amazing digital catalog with pleasant sliding effect and more interestingly, with interactive multimedia such as video, online YouTube and Vimeo video, audio, image gallery. 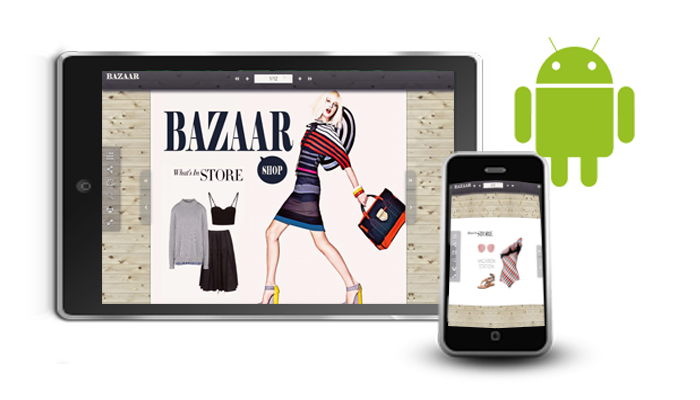 In addition, this Online Catalog Software can be an effective e-Commerce solution because it cannot only enrich your digital catalog with animated media, but also make your catalog commerce-ready by enabling you to empower the catalog with different shopping and selling elements like Buy buttons and links. It makes shopping and purchasing more easily. Yet, to expand your e-Commerce and generate profits from the media-rich shopping catalog, you will need to make it easily accessible to anyone. And Pub HTML5, of course, will never fail you in this vital procedure. This online catalog software will enable you to publish the commerce-ready catalog to your own website or to our Cloud Hosting with great ease. Besides, it provides you with an option to make the extraordinary sliding digital catalog run on mobile devices such as iPad, iPhone, Android smart phones and tablets. You will be able to reach your audience any time and any where!